We are so excited to announce that the Jara team won the Grand Prize of $20,000 at Cisco Live in Melbourne, Australia! Our Founding CEO, Soraya Fouladi, and Chief Strategy Officer, Pumla Maswanganyi, were invited to present and compete among other entrepreneurs in the week-long conference. Jara won the Gold Award from Reimagine Education for Best Innovation in the US & Canada region. In addition, we were invited to showcase our initiatives at their global conference along those seeking to shape the future of education. Soraya became the youngest entrepreneur to be invited to speak at Samsung Semiconductor’s Silicon Valley headquarters for the company’s executives and employees from around the world. See her talk below. Jara received the Entrepreneurship Scholar Award from Social Capital Markets. We were also invited to attend SOCAP18 among 130 other entrepreneurs who are working to solve challenges and create positive impact in communities worldwide. We were honored to be named as a finalist for the 2018 Westly prize– an award given to early-stage, young social innovators in California with novel solutions to community challenges. The Jara team was chosen as 1 of 3 entrepreneurs to compete in 1850 Coffee’s Bold Pioneers Challenge. We tied for first place, winning $5,000 and recognitions from Forbes, Bustle, and PR Newswire. Our founding CEO, Soraya Fouladi, was 1 of 600 guests invited to this exclusive event held by Samsung to network and learn amongst the top thinkers, CEOs, Investors, and world-changers in the tech industry. 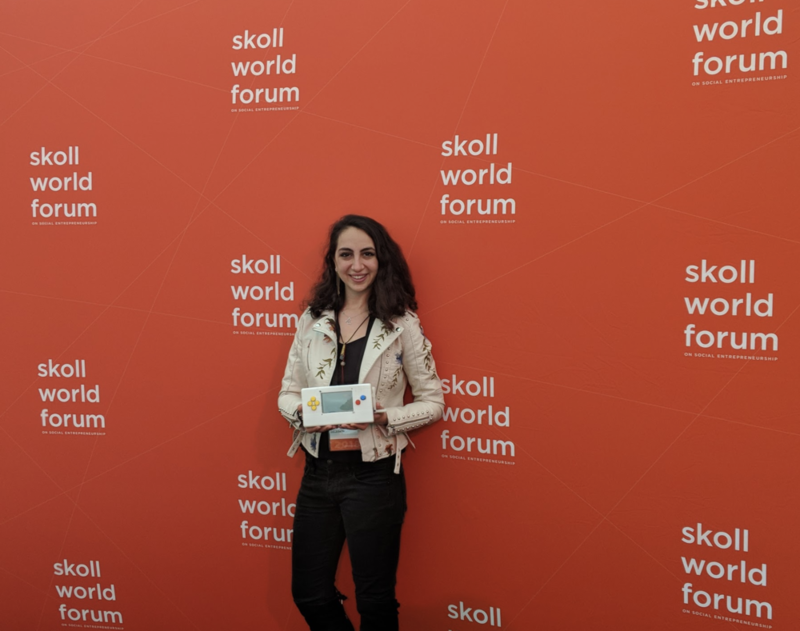 Each year, the world’s most influential social entrepreneurs, key thought leaders, and strategic partners gather at the Skoll World Forum. We were honored to be invited as a Delegate this year.